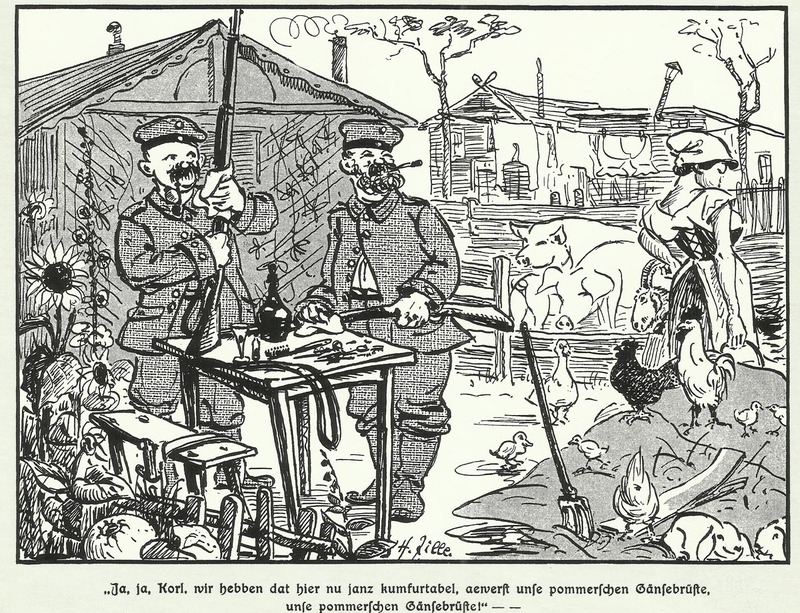 Heinrich Zille, known for his realistic drawings from the Berlin workers and poor environment, pleased with his humor also the German soldiers in World War One with the brochure ‘Vadding in France’. Champagne: French 64th Brigade secures small part of Sabot Wood, fighting until March 15. Dardanelles: 6 Anglo-French battleships (2 hit) engage Narrows’ forts, apparently silence two of them. Black Sea: ­Russian squadron shells Eregli and Zonguldak, sink 7 steamers and 1 sailing ship. Russian submarine Nerpa off Bosphorus for first time. North Sea: 6 Royal Navy Air Service aircraft bomb Ostend. Greece: Government protests against British occupation of the island of Lemnos. British government pleads military necessity on March 9 and guarantees its return on March 20. Britain: Asquith calls Churchill ‘far the most disliked man in the Cabinet by his colleagues’. King lends York House to Kitchener.